When you’re looking for a last-minute holiday gift this season, consider an Oral-B Electric Toothbrush. 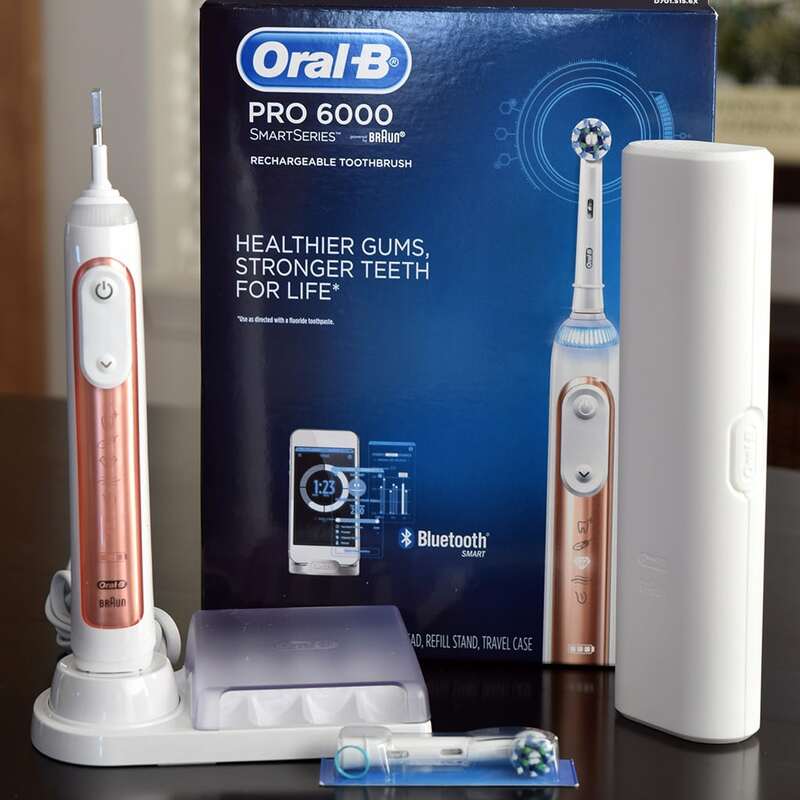 The perfect gift for tech-savvy or beauty lovers, Oral B offers effective and easy-to-use toothbrushes to help keep your teeth and gums clean and healthy. 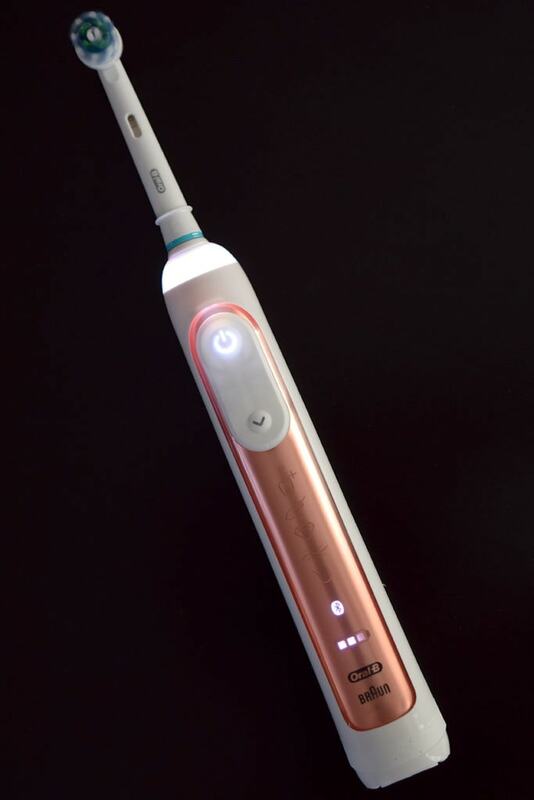 Two high-tech options are the Oral-B GENIUS and Oral-B 6000 in Rose Gold electric toothbrushes. Both of these toothbrushes offer innovative Bluetooth connectivity to help you properly brush your teeth. The Professional Timer to help you brush for the right amount of time with the right amount of pressure. The Oral-B GENIUS offers Position Detection Technology with Triple Pressure Control. 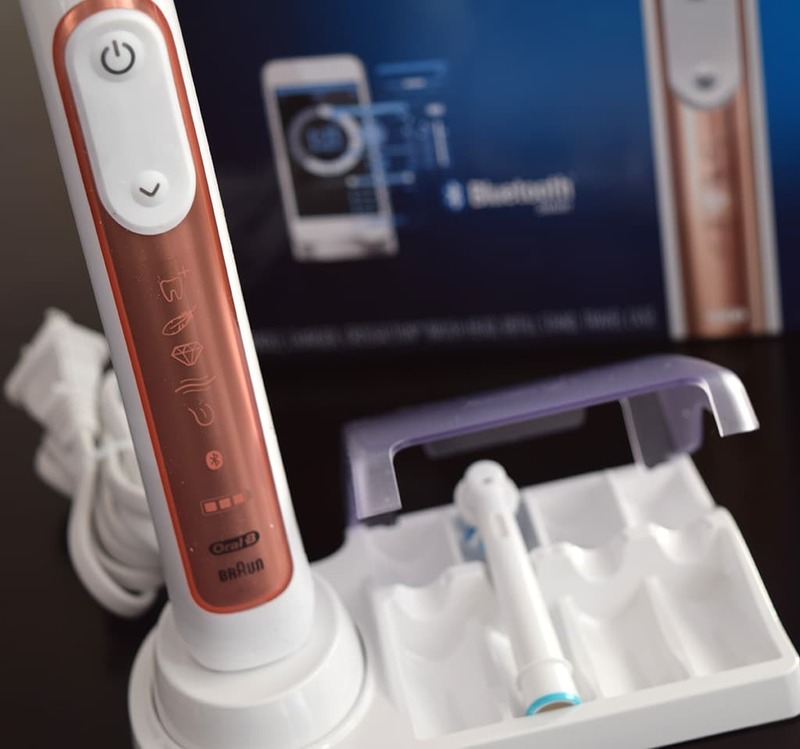 For the tech lovers, the integrated Oral B app tracks your brushing history and allows you to share the date with your dentist or oral hygienist. 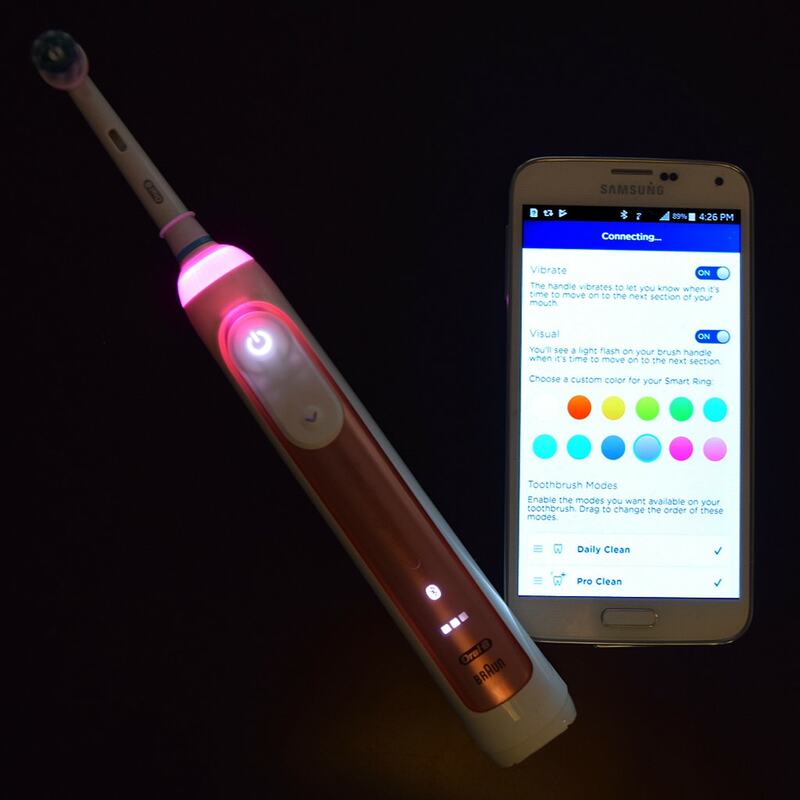 The app also gives you unique control over your Oral-B Electric toothbrush, giving you the option to customize lights, visual cues, enable/disable brushing modes, and more. I’ve been an Oral-Be Electronic Toothbrush fan for years. I picked up an Oral-B 2000 from Costco a few years ago and it’s done a great job keeping my teeth cavity-free and healthy. However, years of wear and tear are starting to show – while the brush works perfectly, the blue handle is starting to rub off. Purely an aesthetic problem, but enough for me to jump at the opportunity to upgrade to the new Oral-B 6000 in Rose Gold. One upgrade I immediately noticed was the 5 different brush modes available – Daily Clean, Pro Clean, Sensitive, 3D White and Tongue Clean. The Oral-B GENIUS Electric Toothbrush also has a Gum Care mode. The Oral-B 6000 and Oral-B 8000 Electric Toothbrushes come with the charger, a convenient storage tray, a travel case and an Oral-B CrossAction brush head. Just pop the brush head onto the toothbrush handle and you’re ready to start brushing. The reason I’m a loyal Oral-B Electric Toothbrush user is that this toothbrush makes it so easy to properly brush and clean your teeth. Unlike other brushes that go up and down, the dentist-inspired Oral-B brush head rotates, oscillates and pulses to remove more plaque than manual brushing. The Oral-B Rose Gold 6000 has a few other upgrades from my old Oral-B brush that I absolutely love. First, the 360 SmartRing with LED lights is more than just a cool light. It shines in the color you select, then changes color based on the mode and time. It flashes red if you’re applying too much pressure while brushing. Next, the integration with your smartphone allows you real-time feedback on your brushing habits. You can use the app to monitor which part of the mouth you’re brushing, making sure you clean each section for the appropriate amount of time. 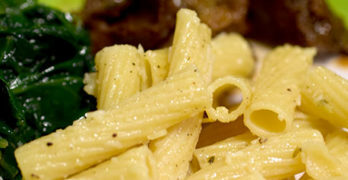 This feature is perfect for people who are learning better brushing habits. Finally, I adore the Rose Gold color. 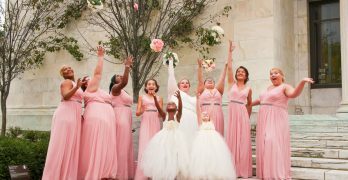 It’s so chic and unique! This holiday season, give the gift of a healthy and bright smile with an Oral-B Electric toothbrush. 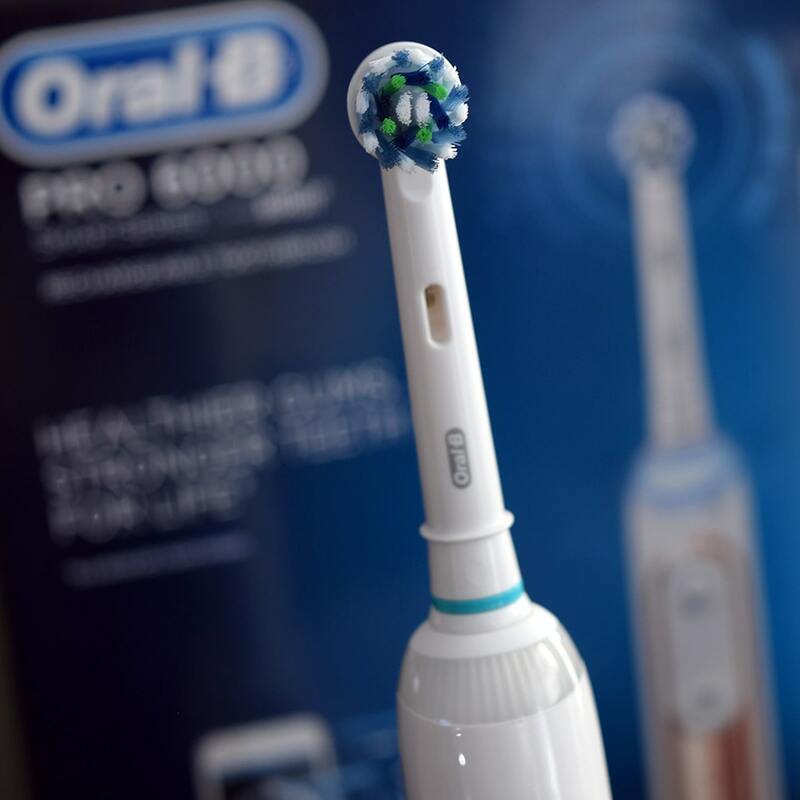 Oral-B Electric toothbrushes are available for sale online at Amazon, Target, or at a local retailer near you. Visit www.oralb.com to learn more. As soon as I saw it, I knew I had to have it. It’s really unique!